You might not know that there’s a Constitutional amendment that has endured decades of debate and still has yet to be ratified. The amendment in question is the Equal Rights Amendment, which is designed to give women equal rights under law. You’d think that in 2018, that amendment would have long ago been ratified, but it turns out that 13 states have either rejected it or failed to bring it to debate. That number used to be 14, but in May of 2018, the Illinois Legislature ratified the amendment. 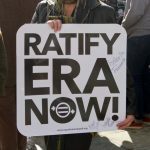 That brings the total number of states that have ratified the Equal Rights Amendment to 37—just one shy of the 38 states needed in order to make ERA a part of the Bill of Rights. To learn more about the history of the ERA, get answers to frequently asked questions, and learn about the current ratification status of the amendment, visit the Equal Rights Amendment website. This renewed interest in ratifying the Equal Rights Amendment is happening on the heels of the rise of the #MeToo and #TimesUp movements, but the ERA predates those movements by many decades. 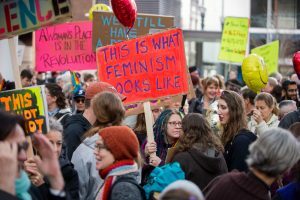 It began with the women’s suffrage movement and as the feminist movement of the 1960s and 1970s became a force to be reckoned with, the ERA movement gained new support, both from the American people and from Congress. A little history here: The Equal Rights Amendment was originally introduced into Congress in 1921. While middle-class women were largely supportive of the amendment, advocates for working-class women were less so; they were concerned that employed women needed special protections regarding working conditions and employment hours. Unfortunately, the amendment died before it became law. In 1971, Representative Martha Griffiths (D-Michigan) reintroduced the Equal Rights Amendment for debate, and less than a year later, it was passed by the House and the Senate. There’s one problem with Illinois’ ratification of the ERA, though: It came 36 years after the ratification deadline. The original ratification deadline was 1979, but Congress agreed by joint resolution to extend the deadline to 1982. Although many states have some kind of language written into their own constitutions protecting women’s equal rights under law, women’s advocates are saying that in an era of increasing federal legislative and judicial activism against the rights women have attained, the Equal Rights Amendment is more important than ever. “As we see attacks on women’s rights, autonomy, and bodies every single day from the Trump administration and the Republican Congress, passing the ERA is our strongest weapon to fight back,” New York Democratic Representative Carolyn Maloney told CNN. Opponents of the ERA—who just happen to be mostly Republican—have said the amendment isn’t necessary. What they really fear, though, is that ratification of the ERA would enable the removal of restrictions on abortion. Even though the original ratification deadline for the Equal Rights Amendment passed decades ago, if one or more other states ratifies the amendment, there will most likely be more legislative maneuvering required before it actually becomes a Constitutional amendment. But with an increasing number of women running for Congress, that may be more possible now than it has been in decades.